NT5, Small diaphragm condenser microphone from RODE. The Rode NT5 is priced well and affordable for a good mic.. This cost me less than half of the amount of the expensive equipment that I had and I have better recordings out of the Rode NT 5 and TC Electronics Desktop Konnekt 6. I can say this because I have Auralex studio foam set up in a closet and I did have the SE Electronics Reflexion Filter when I was using the Neumann TLM 102 and M Audio Profire 610. I have a small closet filled with Auralex studiofoam, with an NT 5, and my Desktop Konnket 6, and I' am more than happy with them! This will save the time and money for the people who are new to home recording and make the people who have wasted money on other equipment more than happy. I suggest taking a intro to audio class for learning how to mix if you are new. It will help you understand the concepts, tools, how & why specific tools are used for mixing and mastering. After that you can learn on your own. It's all about practice. The Rode NT 5 is just one of the models that Rode makes and all of them are pretty good. But the Rode NT 5 will give you the best quality for the price! 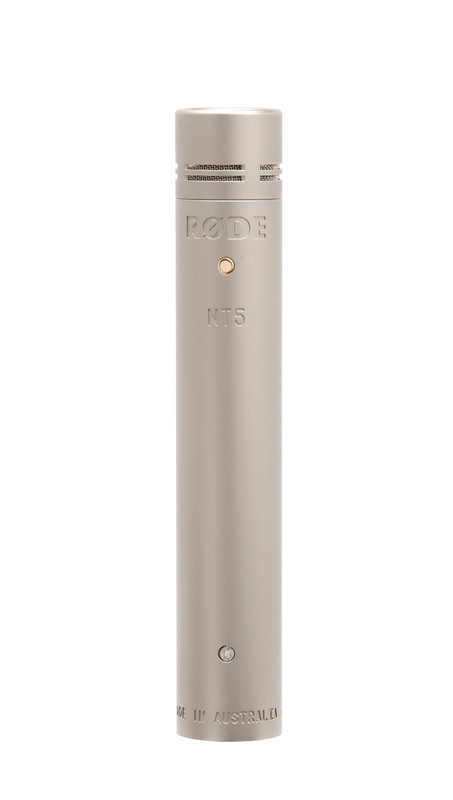 The Rode NT5 is a small diaphragm condenser mic. I am a student, musician, writer, and pretty good line dancer residing in beautiful Nashville, TN. I've been a drummer and guitar player for the past 10 years of my life and have began engineering and producing in the past 4. I currently play drums for the band Brookline and you can see me rockin' an Orange County Drum and Percussion or Mapex kit decked out with Zildjian K Hybrids. We purchased these for our studio about 4 years ago for right around $450 for a stereo pair from Sweetwater. These mics have a wide and accurate frequency response and much like the KM184's, can be used all around the studio - from drum overheads, to acoustic guitar. This stereo pair also comes with windshields and mic clips - which I think are more sturdy than the ones that come with KM 184's. This is not so much a con but something to consider; These mics definitely have a small bit of coloration that some people love and others don't. Make sure the try these out before you buy them! These are tough little mics and claim to handle over 130 SPL, although I've never tested them at this level. They come with a great protective case and the mic clips are a very thick and sturdy plastic. Bottom Line? These mics are incredible for home studios and a great back up pair for commercial use. At 1/4 the price of a stereo pair of Neumann KM 184's it is definitely the best value for the price. The Rode NT5 is a nice pencil mic or small diaphragm condenser by Rode that packs a great bang for buck. These mics sound crystal clear! There is something very transparent about these mics that makes your recording sound like you're standing next to it, but there's a bit of an added sheen on the top end. Once in a while the added sheen that you get with these mics does seem to be a bit much and you'll want to tamp down the high frequencies with EQ. But overall these mics sound very good and very nicely priced. You can get them in a matched stereo pair, which comes in a nice package complete with mounts and windscreens in a protective case. When you get the capsules separated, unlike the NT4, you have lot more flexibility in terms of your stereo arrangement. I really would recommend getting the discrete pair of NT5's over the NT4, simply because using a stereo spaced pair often just sounds better than an XY setup. These don't have the weird cable that the NT4 needs because they're discrete. They connect with the standard XLR cable, and they do need phantom power to work. I don't own these, but I have used them many times at studios that I've freelanced at. They are a fairly common mic, and are used a lot for drum overheads and for miking up orchestral sections in stereo. They have a very clean and clinical sound, which may or may not be what you're looking for. They are very sensitive and handle transients very well, but they don't sound as smooth as say a Neumann KM184. These cost way less though, and they definitely are quality mics. Rode is known for their great value, and it shows with these NT5's. The Rode NT5s are a pair of small-diaphragm condenser microphones that I have used extensively in the studio, mostly on drums and acoustic guitars. These mics are great as a stereo pair. While these aren't the Neumann KM184s, these little things are still great for drum overheads and acoustic instruments when you want that certain high end twang. I also have a pair of AKG C1000s and in my opinion these are a better bang for your buck. If I'm not mistaken, these have gone up a bit in price since I purchased them, which tells me that they are becoming more and more popular for a set of stereo small-diaphragm mics in project studios that maybe wouldn't be able to afford the Neumann KM184s. Compared to the KM184s, the price is outstanding and is a great bang for your buck. I believe I will hold on to these until I can afford a pair of KM184s. 82Studio's review (This content has been automatically translated from French)" Very good quality / price ratio"
Overhead, acoustic instruments and miking outside. It has been 5 years since I use Rode NT5 and I am very satisfied. Mainly on overhead preamp Universal Audio 2-610 + Urei LA4 there is nothing wrong, cash here just good place to take no cymbals too perpendicular, there has a little bump to 4500 Hz but nothing bad in this type of use. on the other hand I write this review because I often see advice on outdoor use. This microphone is excellent for outdoor outlets, BUT NOT WITH THE ORIGINAL Bonnette. Effectively with the supplied windscreen is the blizzard, plus it's ugly! You must use the DEADCAT rode WS8 and there is just perfect. defre2's review (This content has been automatically translated from French)" Very good product"
Outside sensitivity to wind, like most microphones of this type! Anonymous 's review (This content has been automatically translated from French)" Avoid the piano ..."
I just spent a whole week at 12 hours a day to try to make it sound. Before I tried AT4040, 2035, AKG C 535. To use that I wanted to do (sound of an acoustic piano fourth tail quality, it's a disaster. Artificial More than that, you die. Usually aggressive, high mids metal foils and artificial low sketchy or non-existent acute hyper present and unpleasant. all imaginable positions were tried. microphone capsule condo and cardio format 1/2 "
I did not try a lot of little microphones but I had the opportunity to work with AKG, Shure, Audio-Technica, Sennheiser and many others and I think the price / quality ratio is more that excellent! mantudel2's review (This content has been automatically translated from French)" great value / price"
What type of use of these micro? condenser microphone condenser matched couple sold for miking ensembles and orchestras on acoustic instruments. No, I followed the advice on Audiofanzine for purchase at the time. * Super sensitive (it takes a while), I have memories of creaking of chairs that still haunt my nights. 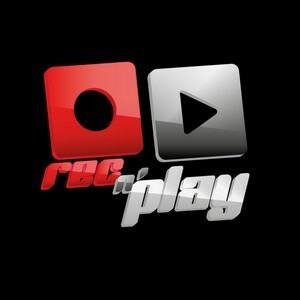 Rec n' Play's review (This content has been automatically translated from French)" A good deal ..."